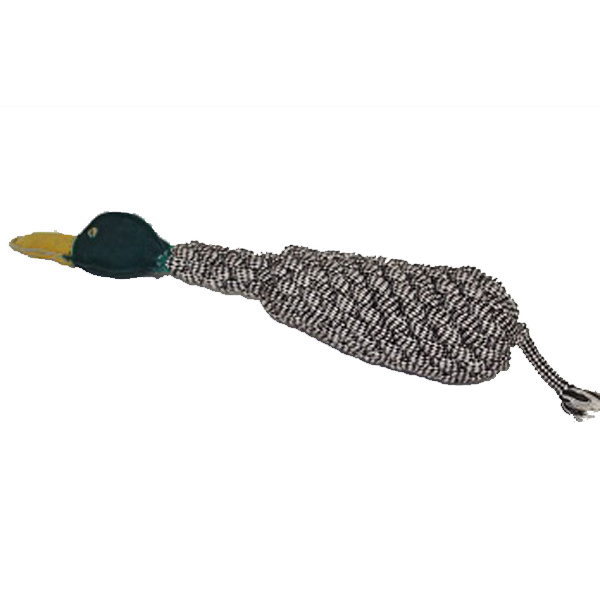 Bring out the hunter in your dog with the Duck Dog Toy by Aussie Naturals! 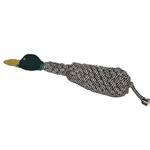 The Duck Dog Toy by Aussie Naturals will have your dog searching for this duck! This 100% natural hand-braided toy is made out of wooley cotton rope with a leather head. An empty water bottle inside makes for endless crinkle noise fun! All Aussie Naturals toys are rescue tested and Eco-friendly! Duck Dog Toy by Aussie Naturals Customer Photos - Send us your photo! Vada loves this duck toy. I bought two of them and she goes nuts for it. Unfortunately the ducks do not last long before she chews them up! Posted On 11/21/17 by McKenna R from , Yes, McKenna R recommends this product! I ordered this and it shipped SUPER fast! This is our second duck and the first one lasted for months (with medium level chewers, it won't last long with super chewers). This toy lasts!!! Your chewing dog will love it! Posted On 12/22/16 by LeeAnne L from Lawrenceville, GA Yes, LeeAnne L recommends this product!